Working in the Berlin district of Wedding on the former ‘Rotaprint Block’ (an area that was once dominated by the printers Rotaprint) Stadtbasteln brought personal narratives and city architectures together. It was a project that acted like the two ends of a telescope, bringing the colossal close and projecting the miniature monumental. Using a plan of the site on 1/100 scale the surrounding buildings act as panoramic backdrop to the site that the Rollende Road Schau takes place on this year. 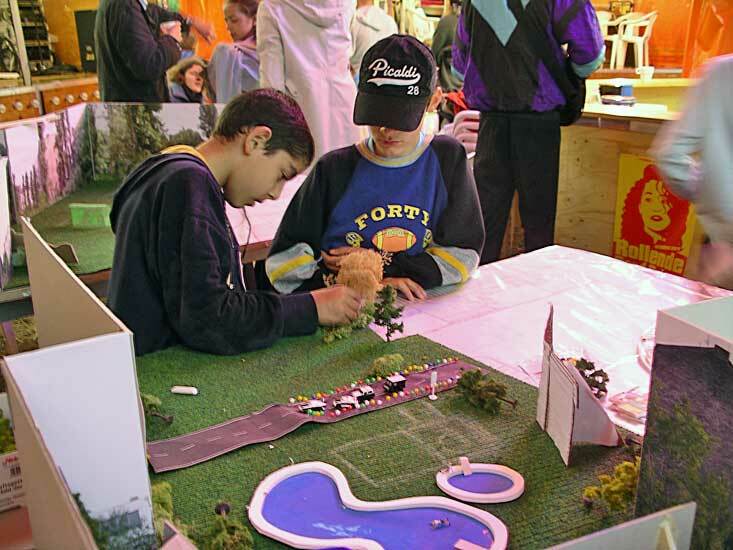 The public were invited to re-think the site and place a miniature version of what they would like to be there – be that other buildings, a park, a playground, anything. People were invited to tell stories of events that have happened or could happen with their re-construction of the site filmed and back-projected so that it looks like it belongs to the site. In this way Stadtbasteln extended an articulation with the miniature into a re-configuration of the city in a mixture of urban voodoo and storytelling. 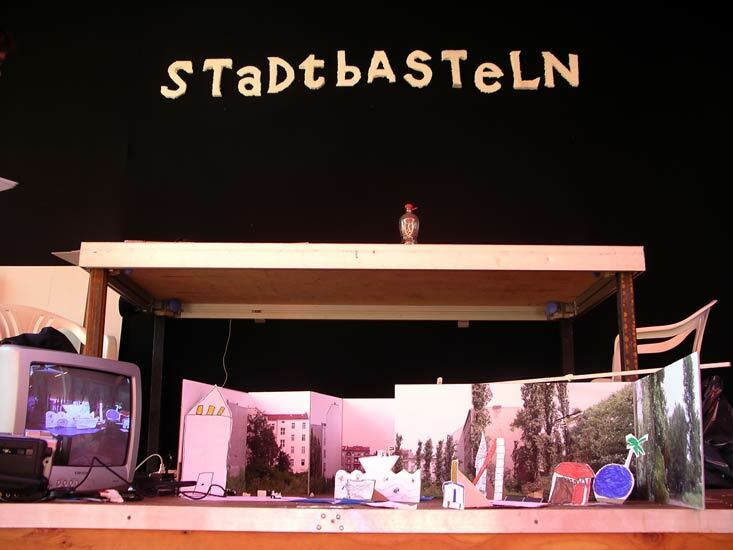 Playing with ideas of intimacy, publicity, and anonymity in urban environments, Stadtbasteln created an experience that makes the familiar strange. It invited spectators to engage with the public places they traverse every day in a new and thought-provoking manner. This piece is a development of some techniques first explored in Me the City, commissioned by Podewil, Berlin. Stadtbasteln was part of Volksbühne’s Rollende Road Shau, Berlin.